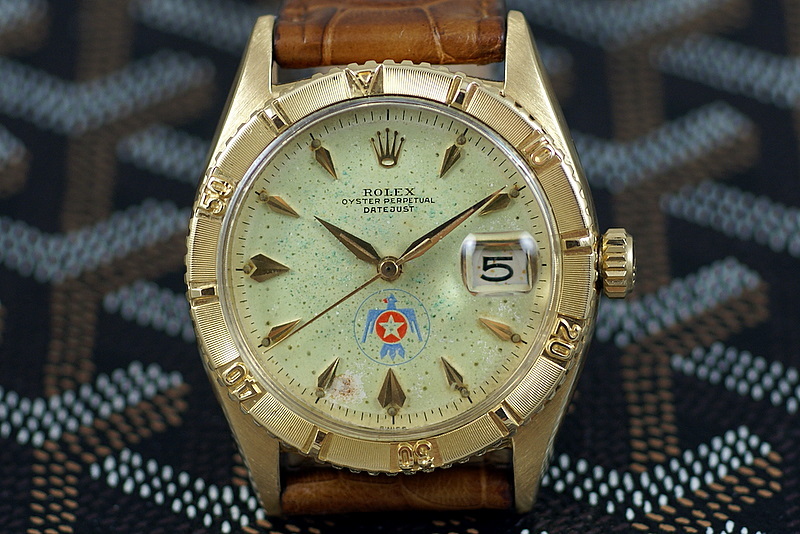 What do you have to say about vintage Rolex pieces? Or are Red Subs and the like something to run away from? Thanks, love the site! We’ve been selling and obtaining Rolex watches for years. On the rare occasion, we may come across a fine Red-Submariner or a specialty Daytona that is sought after by the masses. We have had original Explorers come across our path, but usually turn out to be bogus as many vintage watches do. Watch out! The vintage market is a dirty business with sellers cooking dials, changing hands and doing anything to get that extra buck for a more original look. 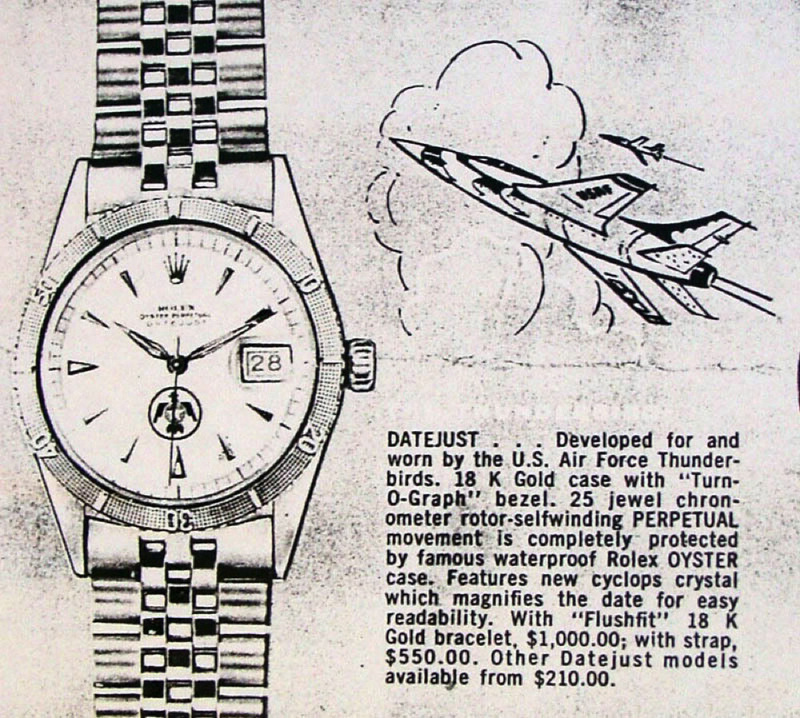 The purest of the un-touched Rolex vintage stock seems to lie in the Turn-O-Graph. I will spare most of the history, but it has its origin in being a gift for Air force pilots since WWII and has been an Airteam special reward for the “Thunderbird” flight team. You’ll hear about the Thunderbird occasionally, as well as Turn-O-Graph, but the people that collect this special model are few and far between. Please don’t confuse this watch with the engine turned bezel, they are very different. In fact, the Turn-o-graph bezel moves in both directions, while the engine turned is stable. I like the engine turn bezel a great deal too, more on those in a future post. So, if you’re looking for that niche that has not been discovered or raked across the coals of vintage hell, try for the sky.